Florence. Dunes City. Coastal towns with big possibilities. Florence and Dunes City are known for their sand dunes. This is not your average natural terrain. If you can host your sport anywhere why not do it in a place that’s special and different? Surrounded by all sorts of options, State Parks, National Forest, the Oregon Dunes National Recreation Area, Sand Master Park and Three Rivers Casino, these venues can host a multitude of sporting events. Sandboarding, rugby, volleyball, soccer, Ultimate and off road racing, to name a few. Three Rivers Casino - Home to one of the premier stops on the Dune Riders International Sandboard World Tour, the XWest Huck Fest is sure to change your outlook on playing in the sand! With luxury lodging, plenty of parking, audio/video infrastructure, restaurants and space for spectator viewing, planners won’t want to miss this unique experience for their events. Sand Master Park - The &apos;World&apos;s First Sandboard Park&apos;. 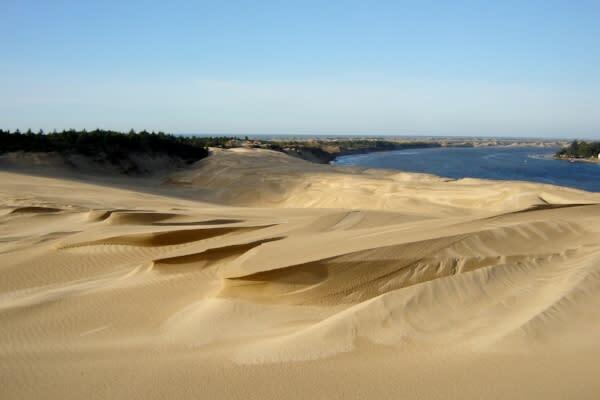 Forty acres of private sculpted sand dunes surrounded by 200 acres of public dunes and forest. Sand Master Park is the place where sandboarding all started and remains a premier leader in the sport. It attracts athletes from all around the world to come train on Florence&apos;s clean, smooth sand. 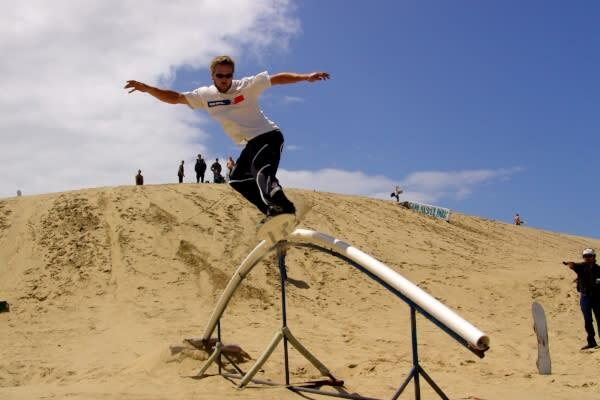 Sand Master Park also certifies most of the world&apos;s sandboarding instructors. With a history of hosting world class events like Sand Master Jam, this area can accommodate your event. From parking to audio/video infrastructure, they have you covered. 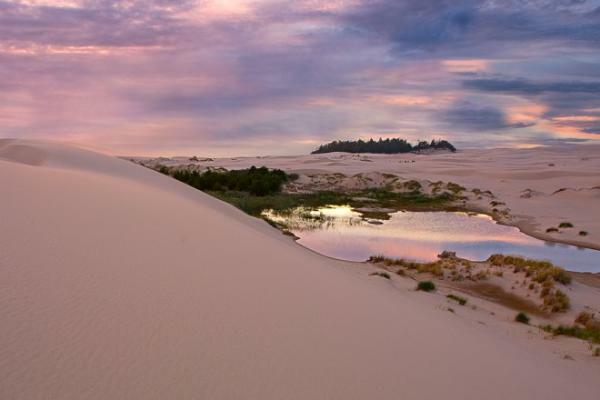 Oregon Dunes National Recreation Area - Part of the Siuslaw National Forest, the Oregon Dunes cover 40 miles (64 km) along the coast, North America&apos;s largest coastal dunes. With the diversity in landscape, a terrain run, soccer match or a game of Ultimate would feel right at home. State Parks and National Forests (such as Honeyman State Park, South Jetty Siuslaw National Forest) - These locations offer true diversity in natural venues. One of the few coastal natural sand dunes in the country, they offer tons of open malleable space. Honeyman State Park specifically offers lakes and beach access. Fishing tournaments also benefit from the variety of space. Lake fishing and river fishing both have a place in Florence. The Siltcoos River and the Siltcoos Lake offer unique salmon fishing opportunities throughout the fall and numerous creeks offer winter steelhead fishing. Other nearby lakes offer year-round fishing for trout, bass and other species. Dunes City is more than just sand dunes. 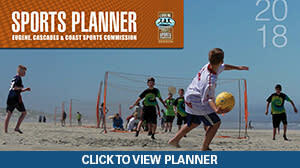 Situated next to Honeyman State Park, Dunes City has been known to host sports events. Woahink Lake - The site of the Dunes City Triathlon/Duathlon. With clear water, plenty of parking, and desirable swimming temperatures, this lake is a perfect spot for any aquatics-based sport. And if for some reason Woahink Lake doesn’t fit your needs, nearby is Cleawox Lake. Cleawox Lake - This site boasts plenty of parking, plenty of camping opportunities, and is located right on the shores of the sand dunes. Florence and Dunes City are easily accessible. Located within 60 miles of the Eugene (EUG) airport, with direct flights from Denver, Las Vegas, Los Angeles, Oakland, Phoenix, Phoenix-Mesa, Portland, Salt Lake City, San Francisco and Seattle. Along with close proximity to the airport, Florence is home to delicious restaurants, local tax-free shopping, golf courses, Scenic Highway 101, local lighthouses, Sea Lion Caves and, of course, beaches (Note: all beaches are public). Florence and the sand dunes offer you amenities, infrastructure, versatility and a clean slate to fit your sporting event. What’s stopping you?